please help !! couldnt work last night and gotta work tonight!! so i had to reformat mbp hard drive i saved serato files and when i put all my apps back i put the serato files back in music ..but home is named different on computer now and when i open serato it wont load my external or crates i tried relocate lost file and it found my recordings but my crates and external are not showing therefore no music. Good talking to you on the phone, here are the things to try. For testing move some music to the internal HD. Put the external on the other side of the room. Open scratch live and build a new crate from that folder. Close the program. Does it close in normal time? Open the program again, is the crate and all of it's music still there? still waiting on it to close almost 40 mins now.. So the external HD seems to be the issue. How much free space do you have left on it? What brand and total size is it? What format is the HD? We usually recommend 10-15% free space which you are under that threshold. Ideally 150-200Gb of free space is what you are after. Once you clear that up, we might then rename the DatabasV2 file because it has most likely been corrupted with the force quits. Scratch Live writes it's info to memory when you close the program. That is when it is freezing, when it tries to communicate with the external HD. If you then force quit or it crashes it most likely wasn't able to commit all of your new info to its memory. What format were the karaoke files? Were they mp3+g? Were they part of your Scratch Live library or had you tried to import them and then upon closing is when you ran into these issues? Yeah, sometimes things get left out or re ordered when using time machine or backups. so i renamed both database v2 files opened serato and voila!! music crates appeared and music is scanning in! this took me two days to figureout! now lets hope its ok when it finish scanning !! so i guess mydatabase was corrupted !! Sweet! I am back from my weekend and this is good news to read. Let me know if everything is going well. well fridays gig wentok..saturday wentwell also.. In some cases of really bad files, the overview builder will crash in the process. If you saw which file it was working on while it crashed, great. Open Scratch Live again and remove it. Then continue Analyzing the files. If you don't see which file it was working on, you can check your overviewbuilder.log file. It is located - Macintosh Hd / User / music / _Serato_ / overviewbuilder.log. Find the file at the bottom of the list and then open Scratch Live and remove it from the library. Proceed again with Analyzing the files. I saw it but it was jibberish to me. 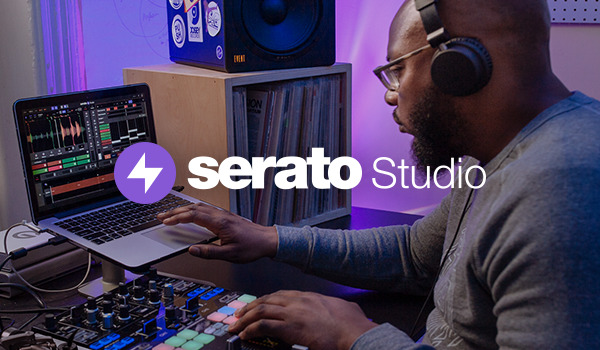 I'm not on the software side of things, that would be Serato.